We've been enjoying the soulful vocals and rhythmic dance-rock of Nashville's Wild Cub for a while now - first wrote about them prior to the release of their debut album Youth in August 2012, here. They're back out on tour this summer, playing festivals, a Conan appearance in May and some touring in support of Vampire Weekend. You can read up on all of it at one of their websites, below. It occurs to me that these guys are a nice companion to Vampire Weekend - similar rhythmic approach, but not exactly the same sound. 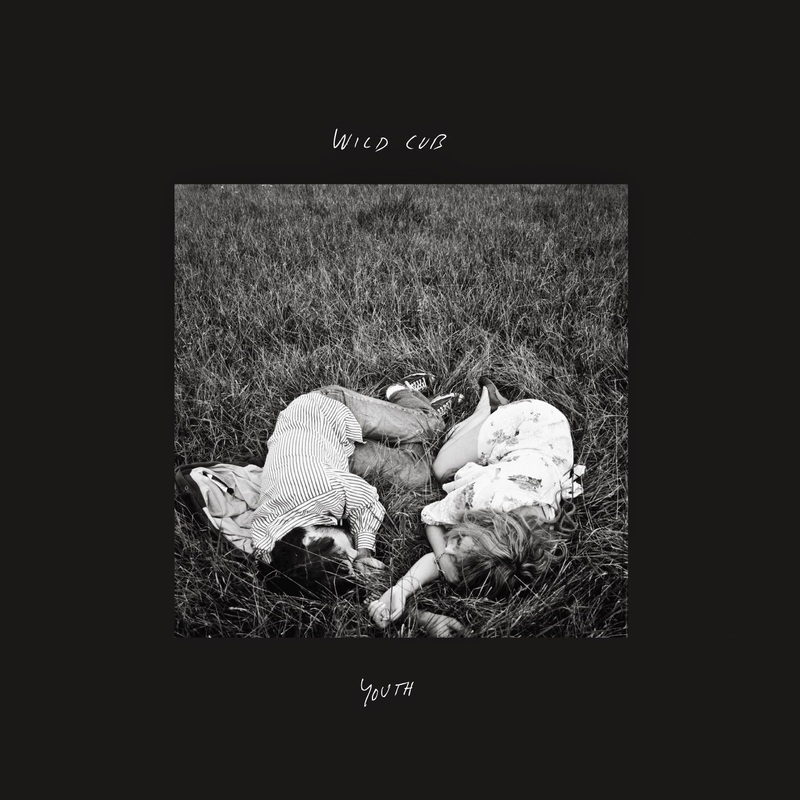 Where VW is very airy, I find Wild Cub earthier, and a little bit darker... though the music is plenty upbeat and exhilarating. The title of this gem from Edinburgh's Song, By Toad Records is straightforward enough -- Song, By Toad Records 2014 Sampler. But the subtitle is "Because the world is WRONG about music", and it sums up the maverick approach that label boss and blogger Matthew Young takes toward his music. He records and releases music that matches his tastes, and is upfront about rejecting the conventional wisdom when he thinks it is wrong. The foregoing isn't intended to suggest that Matthew's tastes are narrow (as you can determine for yourself by streaming the album below). Matthew embraces the quiet and the noisy, but he likes his pop literate and sincerely executed. So, here is the deal. You provide Matthew with your email address, and you can download ten songs from records that Song, By Toad Records will release in 2014. The album technically is "name your price", so an additional donation will not get you in trouble with The Man. I have covered many of these artists and will cover others in the future, so I can endorse the quality of the music. Sample two of the tracks below, and if your interest is aroused, stream or download the entire album. I saw the Drive-By Truckers in Portland Thursday night, and they were spectacular, the songs from their great new album English Oceans (WYMA review here) coming across very strong live. One of the many joys of the evening was the opening band Shovels and Rope, a husband and wife duo from South Carolina. Okay, let's come clean here - my buddy Patrick Meigs, public school educator extraordinaire, whose music taste I trust, urged me to write about this band maybe a year ago now. Their debut record, O' Be Joyful, came out in 2012, ages ago in the blog world. So please forgive us for being embarrassingly late to the party, utterly without excuse. But hey, as a boss of mine liked to say, you can only start where you are. And where we are is declaring Shovels and Rope one of our most striking music discoveries in quite some time. They are so distinctive, a two piece somehow achieving a wall of sound. They meld folk, gospel, classic country, Southern rock and the blues. They are rough and raw, rocking, and yet make beautiful sounding music. Cary Ann Hearst is a compelling lead vocalist, but Michael Trent joins her on every song, and the duet has striking and remarkably strong harmonies. The songwriting is sublime both musically and lyrically. And they are so very Southern, following in the tradition of great Southern rock duos the Flat Duo Jets and Chickasaw Mudd Puppies. Buy the record, see them live, don't laugh at us for being late. 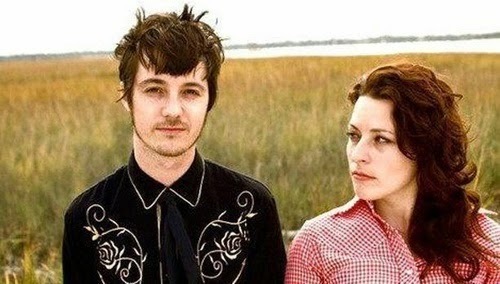 Shovels and Rope official web page. Glasgow's The Amazing Snakeheads make uncompromising , intense, roots flavored rock and roll. Their ten-track debut album, Amphetamine Ballads, will be released by Domino Records in late July, but we thought a brief introduction might be appreciated. The band are Jordan Hutchison (drums), Dale Barclay (guitar, vocals) and William Coombe (bass). Here are the first two singles from Amphetamine Ballads. There is a bit of the Link Wray rootsy menace, and a bit of the Iggy and the Stooges feral rock and roll. "Out of Time" is a particular favorite of mine, with its terrific melody and overall great feel. 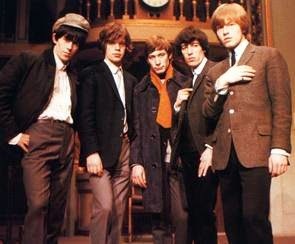 It was recorded in 1966, and produced by Andrew Loog Oldham. The original 5 minute version (1st video below) was released on the 1966 UK album Aftermath, then a shorter version put out in 1967 on the US release Flowers. The song was very distinctive for its time due to the prominent marimba part played by Brian Jones. Today we present another Record Store Day release from Flying Nun which may still be available. 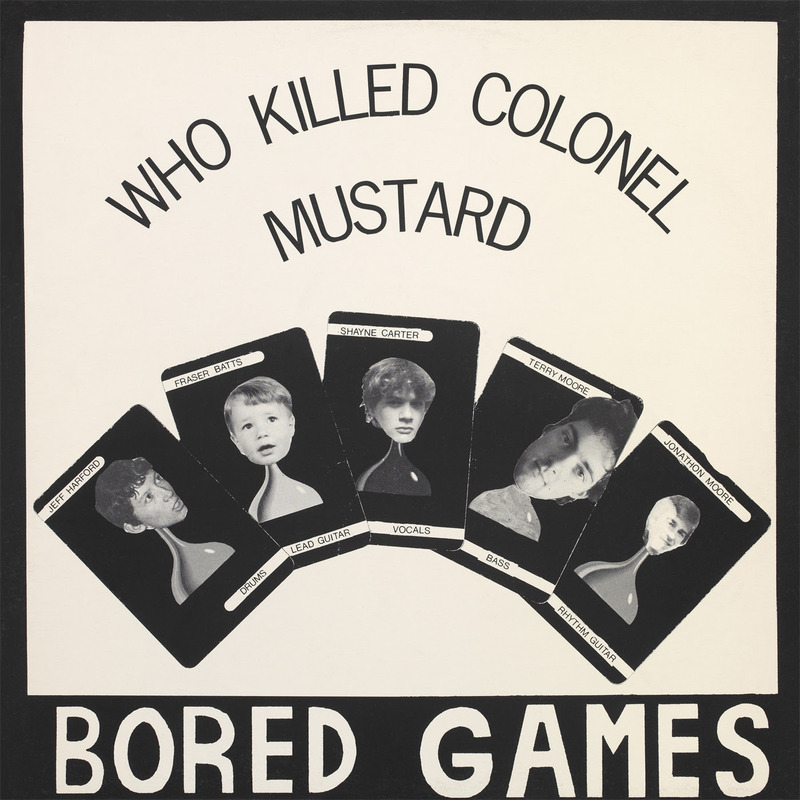 Who Killed Colonel Mustard is a limited edition 12" vinyl reissue of an EP released by Flying Nun in 1982. Consisting of four tracks from Bored Games, the project of 17-year old Shayne Carter and mates Wayne Elsey, Fraser Batts, Jonathan Moore and Jeff Harford. The band broke up after recording the songs, but before the EP was even released. Carter went on to form The DoubleHappys and Straightjacket Fits, of which Elsey also was a member. Elsey also formed The Stones, who provided four tracks to the wonderful Flying Nun release Dunedin Double. Moore later served a stint with The Chills. In addition to being rare, I think this record is special because the songs are unusually good, especially for high school students, and because it presents a more punk approach to indie rock than many of the better known Dunedin groups of the period. You can stream all four tracks below. 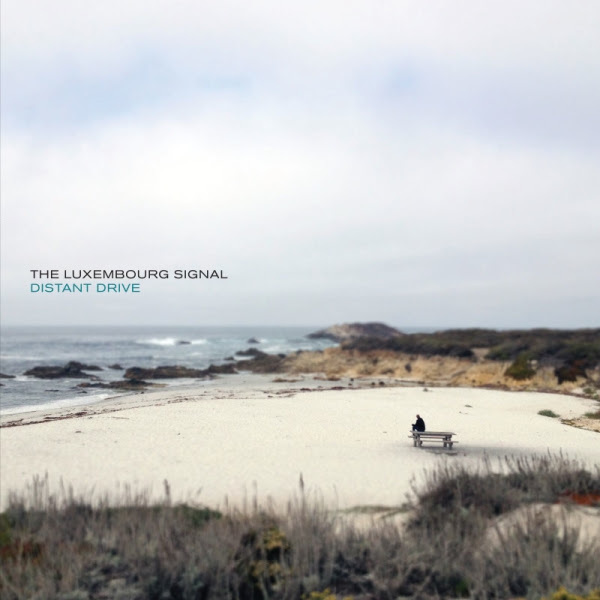 The record can be ordered from Flying Nun in New Zealand or Captured Tracks in Brooklyn. While there is much complaining about modern pop music, and to be fair, much to complain about, at some point we need to face the untidy fact that in order to have music we want, we have to provide full support to that music when it is available. And by support I don't just mean telling a friend and streaming an album on Pitchfork Advance. Buy the album; attend the shows; buy a copy of the album for a friend who will like it. And yes, this little lecture has an ulterior motive. I've been advocating Fear of Men since I first heard some demos a few years ago. They now have a debut album, Loom, and I very much would like it to be the first of many. 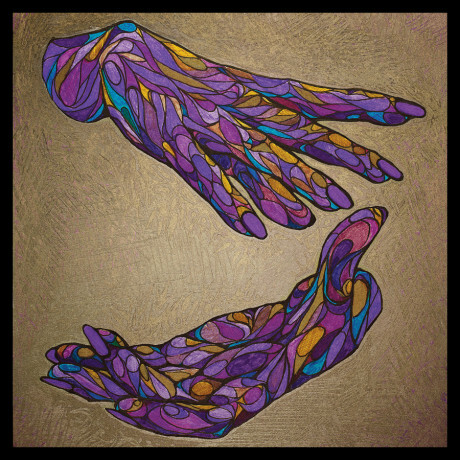 A number of artists are purposeful in their art, thinking through the message to be conveyed. A smaller number of artists are top class songwriters, packaging the message efficiently, appealingly, and with emotional resonance. What makes Fear of Men so special to me is that they score high in both of those categories, and then deliver it with glistening, thoroughly enthralling melodies and sweet vocals that would capture ears even without the other qualities. Jess Weiss' lyrics directly address weighty themes without sentiment or romance. A former art student, as is co-founder and guitarist Daniel Falvey, art and literature inform her view of the world and the music she writes. Water, risk and sleep/dreaming also feature prominently, and the world view, although not quite despairing, is decidedly melancholy. Because Weiss favors first-person storytelling, the album has an unusual intimacy. The overall thematic effect is literate without being pretentious, and anxious without being neurotic. Musically, the arrangements feature bright melodies and energetic playing; a listener might find similarities with the Smiths, Lush, or Veronica Falls. Ultimately, the band relies on Weiss' voice to sell the song, and it is trust that is well placed. Her soaring, affecting vocals and Falvey's shimmering guitar are treasures. In addition to Weiss and Falvey, Fear of Men include drummer Michael Miles and bassist Becky Wilkie. Deers are a lo-fi, surfy guitar pop band from Madrid. Founded by Ana Garcia Perrote and Carlotta Cosials, they now are a foursome. All we have to judge them on are two demos, which are available to stream and download below. And what do they reveal? That these ladies know how to construct a very catchy song. And given the low, low price, I don't see any reason for all of you to add these songs to your summer party mix. Your guests will like the songs, your party will be better for it, and when people ask who the group is you can take credit for discovering an emerging band from Spain. "For You" is your first taste from Gold-Bears second album, Dalliance, to be released by Slumberland Records on June 3. The Atlanta band features former Plastic Mastery frontman Jeremy Underwood and Clinton Callahan, Sam Jacobsen, Scotty Hoffman and Sean Zearfoss. I think the band has a distinctive sound, bringing punk energy to jangle pop. "For You" is an appealing song, and I'm looking forward to the album. 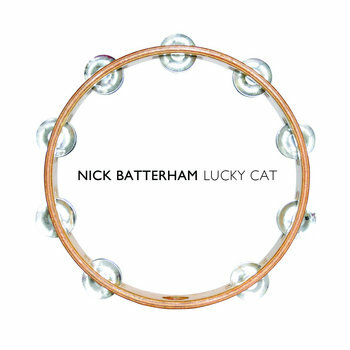 Lucky Cat is the third solo album from Nick Batterham, once a member of the early 90s band The Earthmen. Second Lovers was released in 2010, and Closing Time at Yah Yah's was released early last fall. The material for this album has been accumulated over time, as Batterham has said that he saved his happier songs so they could be released together. And from that you can tell that Lucky Cat does not follow the contemplative, downbeat path of its predecessors. It is power pop and pure pop, and shows that when Nick is happy, he is indeed happy. Moreover, he can make those around him happy. Lucky Cat is out now via Popboomerang Records. Recording as San Mei, Emily Hamilton earned our attention with her "Brighter" release in 2013 (here). The next bid to capture our hearts from the young lady from Gold Coast, Australia, is "Wars", which will be released on May 12 via London label Tidal Wave. Listen and make up your own mind, but after hearing the soaring melody and dynamic soft/loud arrangement, I think our only reasonable tactic is to surrender. TEEN takes its name from lead singer Teeny Lieberson, a multi-instrumentalist who formerly played with Here We Go Magic. But it could also be called the Lieberson Family Band, with Teeny's sisters Lizzie and Katherine on keys and drums, respectively. The current lineup is completed by bassist Boshra AlSaadi. Signed to Carpark Records, the band previously has released a debut album titled In Limbo and the Carolina EP. I saw the band perform in June of 2013, and I was impressed with the quality of their songs, on-stage chemistry and, after a brief conversation with Teeny, their genuine joy at experiencing positive reactions from fans. Accordingly, I was very interested in hearing their new LP, The Way and Color. And what is the verdict? Quite simply, the verdict is "success"! In my view, The Way and Color is a notable step up for an already promising band. Combining glossy indie pop, sharp progressive dance pop and slick R&B sounds, this album is exactly what TEEN needed to do to in order to be taken seriously by a wider audience. The psychedelic and girl-group elements from their past are not totally abandoned, but they are clarified and refined, subjected to razor-sharp songwriting, tight vocal performances and a top-class rhythm section. This is a well-crafted, energetic pop album to supercharge your springtime. The Way and Color is available on April 22 via Carpark Records. Less than a week after featuring a side project of Roxanne Clifford of Veronica Falls (Baggy Attitude, here), we have a song from a band that includes James Hoare of Veronica Falls. Proper Ornaments also includes fellow singer/songwriter Max Claps, and Daniel Nellis (bass) and Robert Syme (drums). As the band has signed to Slumberland Records (US) and Fortuna POP! (UK) for its upcoming album, Wooden Head, I was expecting good things. And based on the delightful "Summer's Gone", it may well exceed my expectations. There is some interesting backstory about Argentinian Max fleeing to London to dodge a commitment hearing and meeting James during an attempted shoplifting, but that can wait for the review of the album closer to its June release. For now, rejoice in the arrival of a band that plays West Coast psychedelic jangle pop with a DNA strand from the Velvet Underground. And here you thought that kind of sublime only existed in your dreams!